Parades. Music. Food. Fun. Adult libations. Carnival rides. Oh, and booming, beautiful fireworks. Yes. 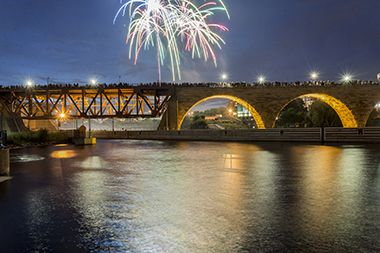 The 4th of July is just around the corner, and the Twin Cities metro area offers a number of amazing festivities to celebrate our nation’s independence. But with so many choices, where should you go? Why Go? This annual event is set along the downtown Minneapolis riverfront and attracts more than 75,000 people each year, according to the Minneapolis Park & Recreation Board. Festivities begin on July 3rd with free music and a movie on Nicollet Island, and end with spectacular fireworks July 4th.There will also be the TC Half Marathon the morning of July 4th, as well as food and drink, and activities for the whole family. 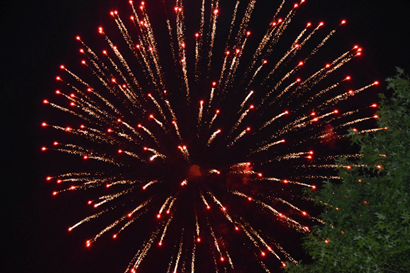 Fireworks will begin around 10 p.m.
For more information, visit the Minneapolis Park & Recreation Board’s website. Why Go? 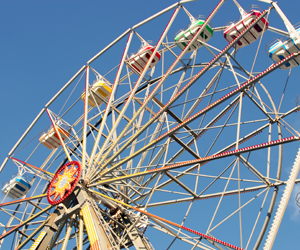 Apple Valley Freedom Days is celebrating its 50th anniversary this year and the week-long celebration boasts a number of activities and events including: a carnival, car and motorcycle show, vendor fair, a special family fun night, parade and fireworks. The fireworks will begin around 10 p.m. July 4th. Why Go? Richfield has been putting on this celebration since 1980, and each year event-goers can expect good food, music, fun activities and a fireworks display sponsored by Best Buy. The festivities kick off with Family Night on July 2nd, featuring a kiddie parade, inflatables and a DJ. 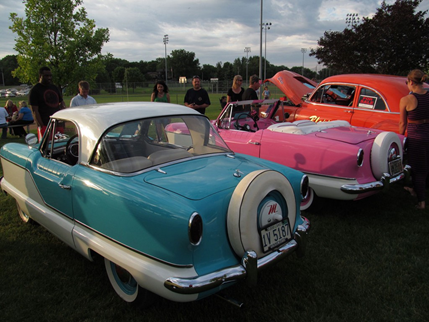 July 3rd features a car show and the popular street dance. 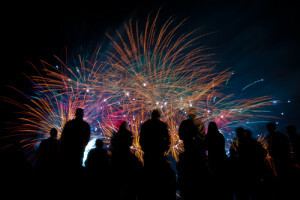 July 4th will feature a parade in the afternoon, followed by activities and entertainment until the big fireworks display at 10 p.m. to cap off the evening. For more information, visit the Richfield 4th of July Committee’s website. Why Go? This Lakeville tradition is celebrating its 50th anniversary this year. The week-long celebration features a number of different activities and entertainment options for everyone including: Beer, Brats & Bingo, the Grand Parade, Carnival at the Fun Fair, Cruise Night, inflatables, music, food and fireworks. 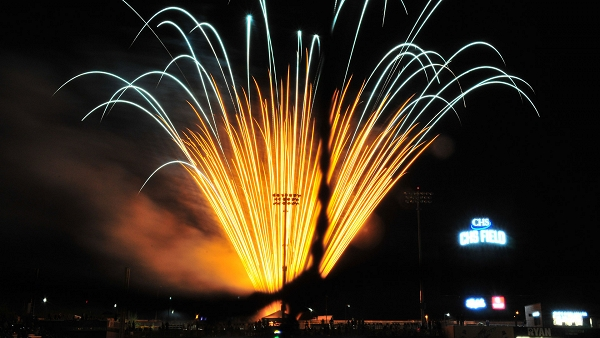 Fireworks will be starting around 10 p.m. July 4th at Lakeville North High School. Why Go? 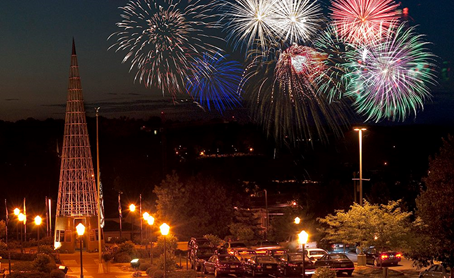 With the St. Croix River serving as a beautiful backdrop, Stillwater’s 4th of July Fireworks event features two bands playing at Lowell Park and an orchestra at Pioneer Park. The fireworks will begin at dusk (around 10 p.m.) and they’ll be musically choreographed on 1220 AM radio, which will be broadcast through Lowell Park’s sound system. For more information, visit the event’s page on DiscoverStillwater.com. Why Go? 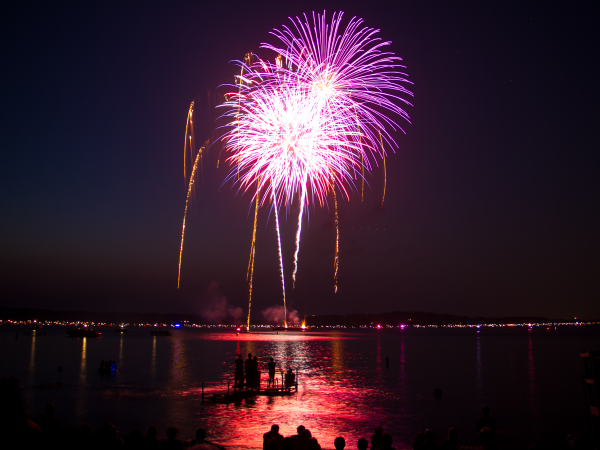 Brought to you by the Excelsior-Lake Minnetonka Chamber of Commerce, the Lake Minnetonka 4th of July celebration offers a little something for everyone. Activities include: Firecracker Runs (1 mile, 5K and 10K), Sand Sculpture Contest, three musical acts and what the chamber calls “the best fireworks on Lake Minnetonka.” Of course, event-goers can take advantage of boating, swimming and other water recreation opportunities on Lake Minnetonka, too. 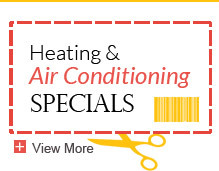 For more information, visit the chamber’s website. Why Go? After a 2015 fireworks show that wowed, CHS Field will again provide a spectacular show following the St. Paul Saints’ game against the Joplin Blasters. The best part is that you don’t have to have tickets to the game to enjoy. There will be spots in and around the Lowertown neighborhood to sit, relax and watch the fireworks. The game is set to begin at 6:05 p.m. with the fireworks starting after it ends. For more information, got to VisitSaintPaul.com. We truly hope you’re able to get out and enjoy another wonderful Minnesota summer. If you find your way to one of these fireworks displays and holiday festivities, please share a photo or two with us on Facebook or Twitter. 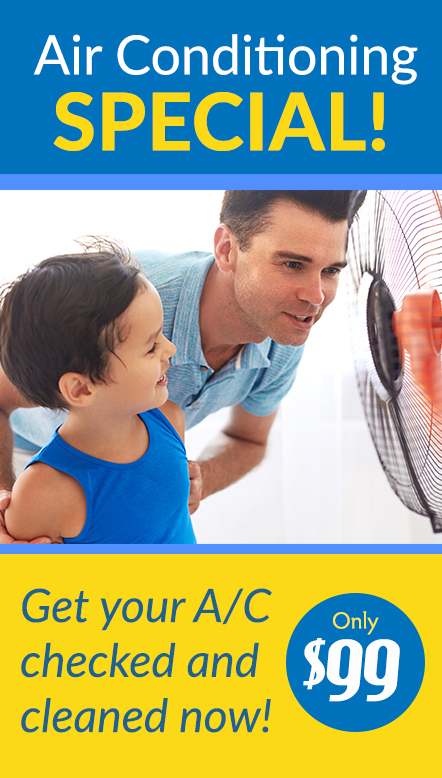 And of course, we like to think of ourselves as the COOLest air conditioning repair company in town. 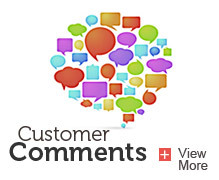 If you’re in need of repairs or just have questions, get in touch with us today.